Shoulder the Sky: A Story of Winter in the Hills by D.E. Stevenson ~ 1951. 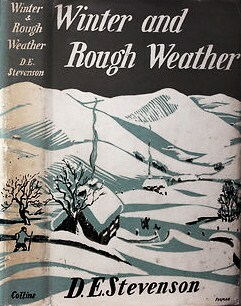 Original British title: Winter and Rough Weather. This edition: Thorndike Press, 1992. Hardcover. Large Print. ISBN: 1-56054-343-4. 407 pages. My rating: 8.5/10, for the majority of this story. I found myself very keen to get back to it and find out what was about to happen next, the most compelling of D.E. Stevenson’s books in this respect so far. A few years after the conclusion of the Second World War, a young, newly married couple, Rhoda and James Dering Johnstone, arrive at their isolated farmhouse near the fictional Scottish village of Mureth. Rhoda is an accomplished professional painter, and her husband worries, with some reason, as to how she will adjust to a life as a sheep farmer’s wife, far from the stimulating world she has happily abandoned for true love. Rhoda drifts for a while, mulling over the dilemma of what she sees as a black and white choice between her perceived role as a wife versus personal fulfillment as an artist. The author handled this theme sensitively and sensibly, though I couldn’t help but think that childless Rhoda, overseeing a small house with the help of a live-in cook-general, had a luxury of a “domestic support system” impossible for those of us in a similar societal-economic position to attain today. With her husband’s full support, Rhoda returns to the studio, and proceeds to paint a portrait which has far-reaching consequences among the local residents. Add in several on again-off again love affairs, a missing wife, a bullying neighbour, a misunderstood child, and the challenges of winter storms in an isolated locale, and you have a quietly dramatic novel, and my favourite DES to date. There are two prequels/companions to this title: Vittoria Cottage and Music in the Hills, but Shoulder the Sky works well as a stand-alone; I never felt like I was out of the loop, though there were references to previous events throughout. I greatly enjoyed this novel, aside from its minor but forgivable imperfections. The author has set it up beautifully, and the details she gives both of farm life and the art world appear to come either from personal experience or detailed research. I thought this particular novel was a relatively strong work for this “light romance” author, rather reminiscent of O. Douglas at her best. Oh! I must make one more comment. The edition I read was the Thorndike Press Large Print version, with a cover of lovely SPRINGTIME honeysuckle flowers. 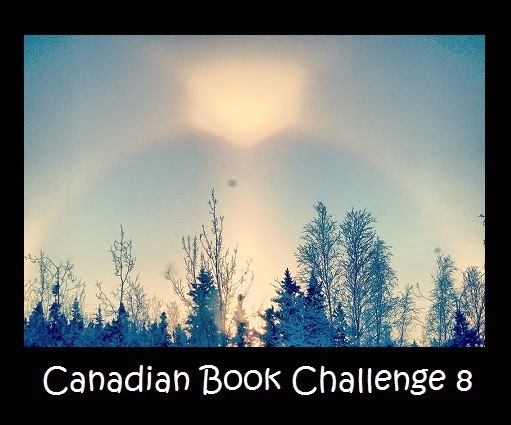 This story is decidedly wintry – a hugely important plot twist is centered on a winter storm, and the atmosphere throughout is shaped by the freezing weather. No mention of honeysuckle or springtime anywhere within – and I was watching for a clue. So a slap on the wrist to Thorndike’s design staff! This cover is much more appropriate. And now I must abandon my own cozy nook in the Prince George library, put on my winter jacket, and venture forth into our suddenly frozen world. It’s minus 10 (Celsius) out there and quickly getting colder; clear and crisp with a just-full moon shining on the newly fallen snow. There might even be a few Roman candles let off, which will shock the complacency of our own farm’s sheep – they definitely do not approve of such changes in routine, and generally wait out the human noisemaking in the shelter of their shed, gently baaing in ovine astonishment at all the fuss. Happy Hallowe’en to those of you who celebrate it! And to everyone at the mercy of the present widespread bitter weather, I wish you a respite from the storms, and a chance to catch your breath and regroup before winter sets in in earnest. 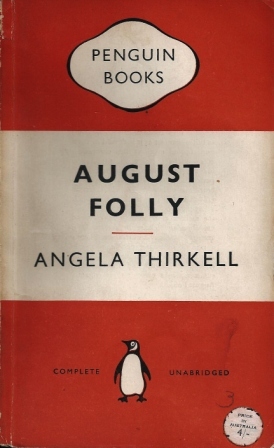 August Folly by Angela Thirkell ~ 1936. This edition: Penguin, 1954. Paperback. 250 pages. My rating: 7.5/10. Possibly subject to move a bit higher after I’ve had a chance to mull it over more deeply, and have read some more of the author’s other books. Not bad at all, nicely diverting, but it didn’t immediately GRAB me. I have a feeling these might grow on one, though. We’ll see. I’m open to the possibility. 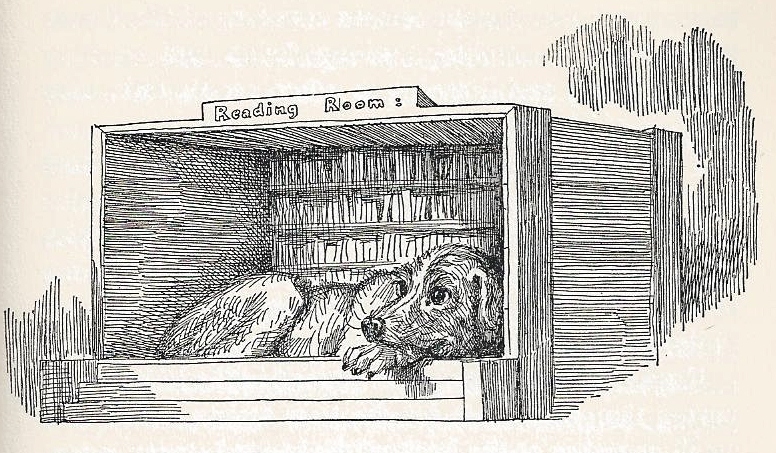 I quite enjoy the hunt for obscurish vintage books, as long as there is a reasonable possibility of success, both in finding the quarry, and in finding it worth the trouble once it has been captured. I have been watching for Thirkell for years in my rambles – as you may have gathered by now I am a used-book enthusiast – but this is the first one I’ve ever stumbled upon. Obviously not terribly popular in our region of B.C.! Must see what the library system offers, now that I’ve dipped my toe in and found the water temptingly warm. Or I could just be brave and go ahead and order some more from the various vendors on Abe, though some of the prices made me gasp a bit when I browsed them this morning, on spec as it were. Like D.E. 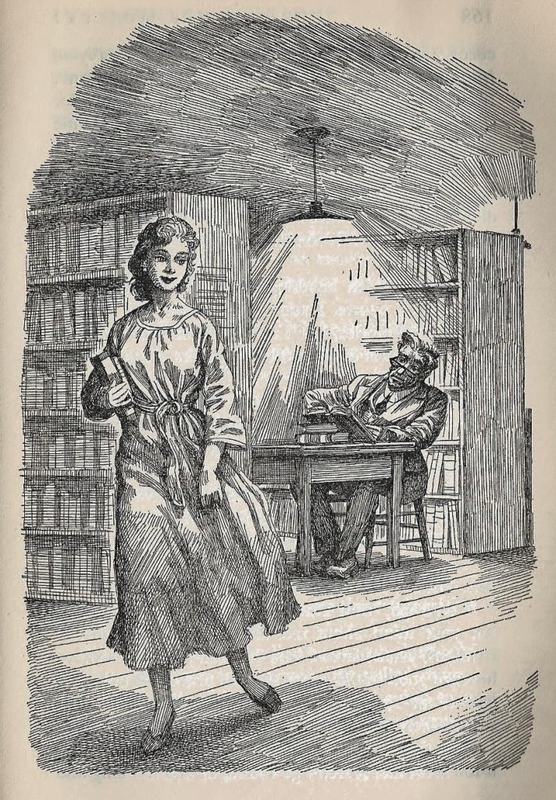 Stevenson, whom I’d never even heard of in pre-book-blog-reading days, Angela Thirkell has a deeply devoted following among lovers of the vintage “middlebrow” genre. I’d also read a certain number of negative reviews – “shallow”, “fluff”, “just couldn’t get into them”, “you know the author just whipped these off for the income and rather despised her readers, don’t you?” – stuff like that. So I was cautiously optimistic. Well, I’ve finally gotten my hands on a Thirkell to sample for myself, and with mixed (but rather high, as the fans decidedly outweighed the critics in blog world)expectations I carefully delved in. Carefully, because the old Penguin I now possess has had a long career already and is gently but persistently shedding pages, as old Penguins are wont to do. It’s been around. 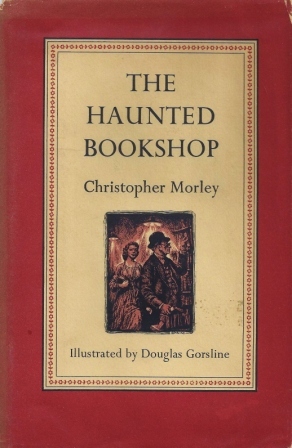 The price sticker on the front is from Australia, and inside the front cover the original bookseller has rubber stamped “Angus & Robertson, Melbourne”. It’s now a long way from home, here in the northern interior of British Columbia. I was initially rather put off by the author’s parody of English village names in the first chapter – we are introduced to these improbabilities: Worsted (that was all right), shortly followed by Winter Overcotes (ack! ), Shearings, Winter Underclose (oh, for heaven’s sake, stop already! ), Lambton, Fleece, Woolram, Skeyne, Staple Park, and Lamb’s Piece. Rocked me a bit. I hope it’s not going to be one of those books, I thought to myself, a laboured and dated farce full of punning and “in” jokes. But after the starting jolt to get the thing in motion the author settled down to her story, and I settled in to enjoy it. From The Angela Thirkell Society Website, here is a quick condensation of the plot, with a bonus reading recommendation. I would add, also ideal for reading in a warmly cozy chair with snowflakes drifting down outdoors, which is our present situation. Most conducive to reading about summer! August Folly. Takes place in Worsted in East Barsetshire. Most of the plot centers around the rehearsing and production of Euripides’ Hyppolyta, directed by Mrs. Palmer and involving the Deans, Tebbens, and many of the villagers. Highlights: Richard Tebben is infatuated with Rachel Dean, in addition to pouting about his poor showing at Oxford; Betty Dean, Oxford-bound, drives everyone crazy with her know-it-all attitude; Helen Dean is jealous of her favorite brother Laurence’s attentions to Margaret Tebben; Rachel Dean worries about her heart murmur; Charles Fanshawe fears he is too old for Helen Dean; Mrs. Tebben remembers her long-ago and never-expressed fondness for Mr. Fanshawe, who was her tutor; Jessica Dean is rescued from a bull by Richard Tebben. Richard gets a job with Mr. Dean, Laurence wins Margaret, Charles wins Helen. Outstanding light entertainment, ideal for reading on a shady porch on a hot afternoon in July with strawberry ice cream and tea – which is how I read it! I must add a note as to how much I appreciated the several brief vignettes featuring Modestine the donkey and Gunnar the tomcat in the midnight pasture. Totally unexpected, but most welcome. A few minutes earlier Modestine, lounging about in the little shed down in the field that was his summer quarters, saw two points of fire approach. ‘Know what I did tonight?’ asked Gunnar. Modestine only went on chewing some grass. So there you have it. A restrained enthusiasm for my first Angela Thirkell. Quite curious about the next experience. Any recommendations, those of you who are old Barsetshire hands? A Short Walk in the Hindu Kush by Eric Newby ~ 1958. This edition: Harper Collins, 2010. Introduction by Evelyn Waugh, Epilogue by Hugh Carless. Softcover. ISBN: 978-0-00-736775-7. 288 pages. My rating: 8.5/10, after some inner debate. I have decided to overlook the more blatant “Eurocentric” passages, and to view this book as a product of its times, despite a vast change in standards of political correctness in the ensuing fifty-some years since its first publication. Very readable, in a dryly witty British way. 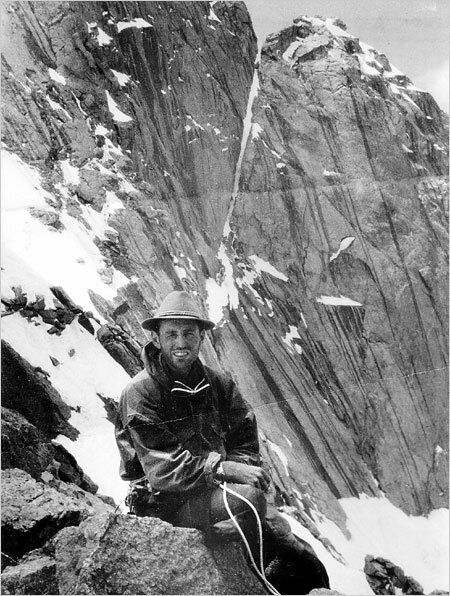 In 1956, 37-year-old Englishman Eric Newby, having received a publisher’s advance to write a travel book, contacted his friend, career diplomat Hugh Carless, and floated the idea of travelling to Afghanistan and trekking in the Hindu Kush mountains, an area where few Europeans had previously ventured. 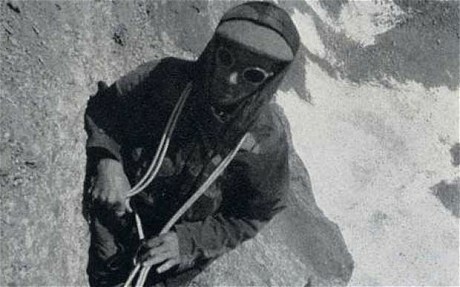 The two decided that the trek should have some definite aim, in part to enable them to request grants from various organizations to assist with expenses, so, without letting their lack of mountaineering experience stand in their way, they decided to focus on ascending 20,000 foot Mir Samir, which had not yet been climbed to its summit. After a two-day crash course in basic alpine climbing at Snowdonia in Wales, the two felt they were marginally more prepared for the rigours ahead, and the trip was on. Each man brought a certain experience to the expedition. Newby, though having spent the previous ten years working in his family’s ladies’ fashion business, had strong credentials as an outdoorsman. At the tender age of 19, he had spent time on a four-masted Finnish sailing ship, voyaging from Australia to Europe via Cape Horn, and his eventual book about this experience, The Last Grain Race, was responsible for the publisher’s advance which initiated the Hindu Kush journey. With the start of World War II, Newby served in the famous Black Watch regiment, and was involved in the Special Boat Section, making lightning commando raids on enemy airfields and the like. One of these expeditions went awry, and Newby was captured off Sicily and interned for the rest of the war, barring a brief period of freedom in the Italian mountains, where he met his future wife, a Slovenian village girl, Wanda, who aided him in an escape attempt. This period was also written about, in Love and War in the Apennines, published in North America as When the Snow Comes, They Will Take You Away. (I am currently reading this memoir, and it is fascinating, and helps put Eric Newby the Hindu Kush “explorer” into context.) Wanda wrote her own memoir, Peace and War: Growing Up in Fascist Italy, in 1992. 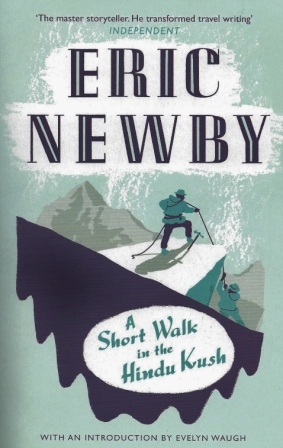 Always strongly and competently athletic, and with a strong sense of humour and a forthright readiness to embrace new experiences, Newby’s intent to venture into the forbidding mountains of a somewhat hostile Afghanistan is more understandable than it appears from his account of the initial decision in A Short Walk, where it appears to be merely a whim of the moment. Hugh Carless himself, while on one of his official postings in Kabul, had previous experience in the area, and it was his accounts of trekking in the region with Tajik guides which got Newby thinking about the possibilities of a more ambitious expedition. The 31-year-old Carless brought knowledge of local languages and on-the-ground diplomacy to the partnership, as well as a strong inclination to adventure which more than matched Eric Newby’s. 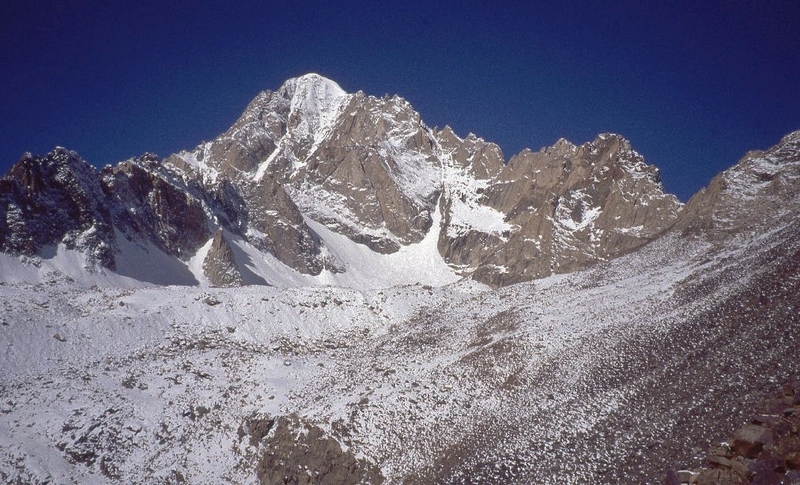 After descending Mir Samir, bloodied and bruised, the trekkers continued around the foot of the mountain, as Newby and Carless thought they would like to see it from the “other side”, which entailed the party entering the neighbouring province of Nuristan, to the trepidation of their guides; regional rivalries were intense and deadly, and there was a very real danger of violence to trespassers. 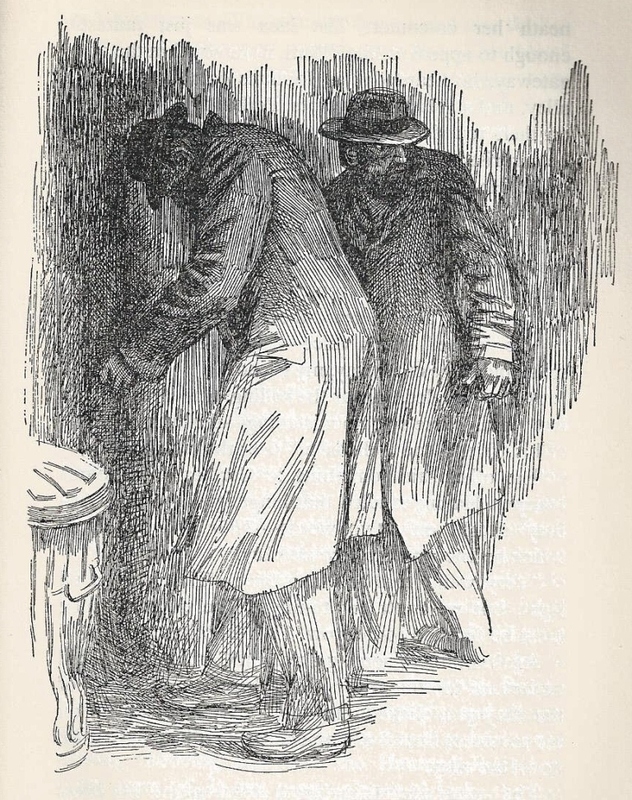 A safe return was made, and the two men were thereby provided with anecdotes for a lifelong series of dinner parties, not to mention a whole book. The guides returned to their normal lives, grateful, one would assume, that the whole darned thing was so quickly over. Much is made of Newby’s playful, ironic tone in this book, and while I did appreciate the bantering tone, as it made for an enjoyable reading experience on a purely diversionary level, I did continually keep thinking to myself, “Why?” Why risk life and limb, not only of themselves but of their guides, on such a pointless journey? Because it was “there”? That does seem to be the chief motivation set forth in the book, and I am not sure whether learning from the afterword by Hugh Carless, special to the 50th anniversary edition of A Short Walk, that the trip was contrived at least partly in order to have an experience to write a book about, that I am any happier with that reasoning. I suppose it is no different from the contemporary trips in search of material by the likes of Michael Palin and Bill Bryson, and even the revered Paul Theroux. We do tend to love a good traveller’s tale, whether we are fellow adventurers or merely armchair voyeurs. A Short Walk in the Hindu Kush is often referred to as the book that started that successful genre, but I must differ on that point, as the traveller’s tale form stretches back in popularity to pre-history. Think of The Odyssey, and the Nordic journey tales, and Marco Polo, and the countless accounts since then. This book is a worthy successor of its historical ancestors, but it very much walks in the shadow of what came before, versus branching out in any significant way. Newby and Carless ultimately come across as being a wee bit arrogant (okay, in Carless’ case, hugely arrogant), with their snide comments on the personal habits of the natives of the area. To balance this they do poke continual fun at themselves, and there are numerous appreciative comments regarding the region and the people, so perhaps it is merely a case of the author being more honest than most in that he records his negative thoughts, rather than submerging them in the interests of political correctness as more modern writers have been trained to do. Whatever my criticism, the fact remains that these two men ventured where few others dared, and, in the face of overwhelming discomfort and very real danger, pushed forward to pursue their stated goals, with a great degree of success. To sum up, I quite enjoyed reading this book, am eager to read more of Newby’s work, and would happily recommend A Short Walk to others, with the note that it represents the attitudes of the time it was written, and may jar the sensibilities of a more tactful and possibly better educated (in a worldly aware sense) time. 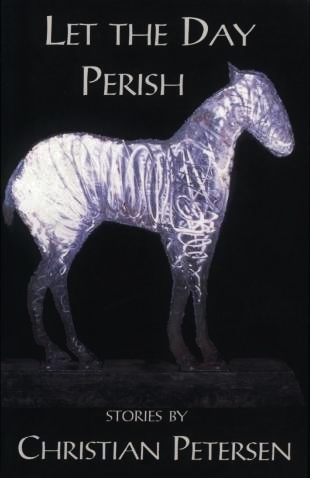 Let the Day Perish by Christian Petersen ~ 1999. This edition: Beach Holme Publishing, 1999. First Edition. Softcover. ISBN: 0-88878-400-7. 136 pages. My rating: 9/10. Strong, vivid and eloquent. “Beautifully crafted” and “Powerful” may have become clichéd descriptions, but they apply in their most sincere sense to these punchy short stories. 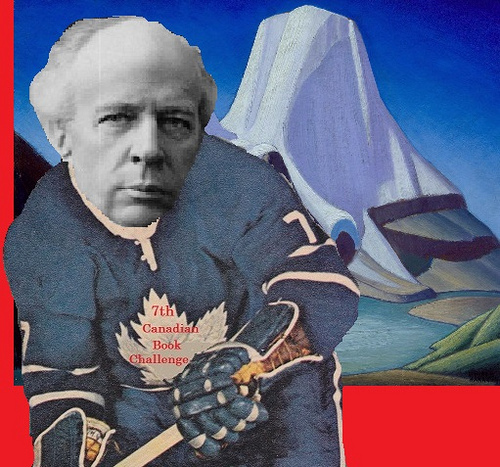 Christian Petersen beautifully reins in the confusion and displacement of a diminishing band of men facing the daily spectre of an unforgiving land, men enslaved to the grind of the sawmill, hunkered on bar stools, high in the saddle of a John Deere, or wild behind the wheel speeding down dirt roads to the Fraser. Here are fathers, brothers, lovers in search of forsaken children, bygone loves, and memories long faded in the wash of fast-running streams and firelight. Here are the unpardoned, raging against what they might have been, what they are now, and where their paths have led them. Yet Petersen’s characters hollow out a quiet dignity, gentle in the silent truth that they are small in the face of pain – and of change. 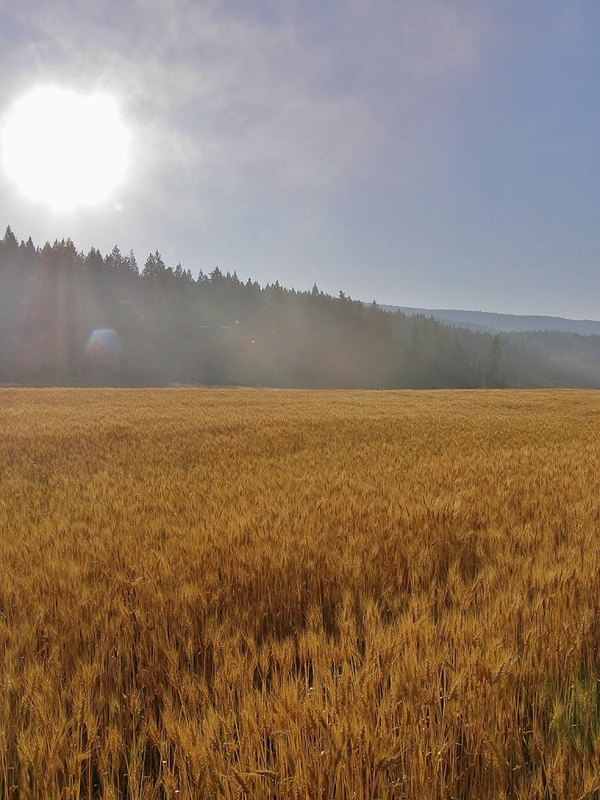 Regional literature set in areas familiar to the reader is difficult to view in perspective. I find that I am often so caught up in nodding in recognition of places and people that a crucial distance is hard to maintain in attempting to judge merit of story and style. And this is a very local collection of stories, by a writer who closely shares my own experience of time and place in his formative years, growing up in Quesnel in the 1960s and 70s, leaving the Cariboo for a time, and eventually resettling in Williams Lake, where he has worked (is still working?) as a probation officer. He is obviously a keen observer of local “types” – they are instantly recognizable – but he looks past the superficial surface of the stereotypes to the turmoil within. If a story is not to be about love or fear, then I think it must be about anger. Love, fear and anger are all represented here in their deepest intensity. 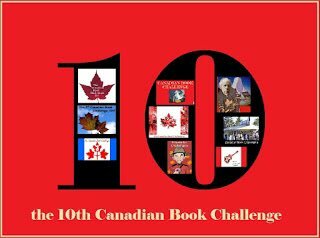 A very readable collection of stories, definitely for British Columbians familiar with the Cariboo-Chilcotin settings, and with a broader appeal to universal emotions which should resonate with readers everywhere. Heart Red Monaco ~ Two unlikely friends search for some kind of meaning in their treading-water lives. Horseshoes ~ Two brothers: rivalry, conflict and resolution. 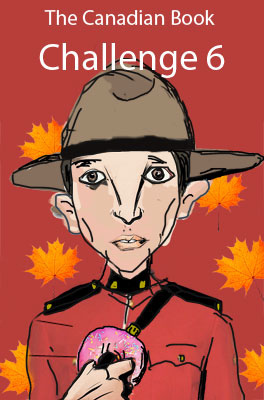 Come Evening ~ A day with one of the fringe-dwelling “troopers” of Williams Lake. Scout Island ~ From her house overlooking the nature reserve, a horse trainer deals with “getting by”, and a troubling situation initiated by her young son and her elderly great-aunt. Country Boys ~ The brutal world of the high school bully, his victims and, ultimately, his tormenters. Taseko ~ A boy goes moose hunting in the Chilcotin with his father and his father’s friend. Let the Day Perish ~ Life, love and death on the ranch. This is How It Is ~ A divorced father yearns for his young daughter. 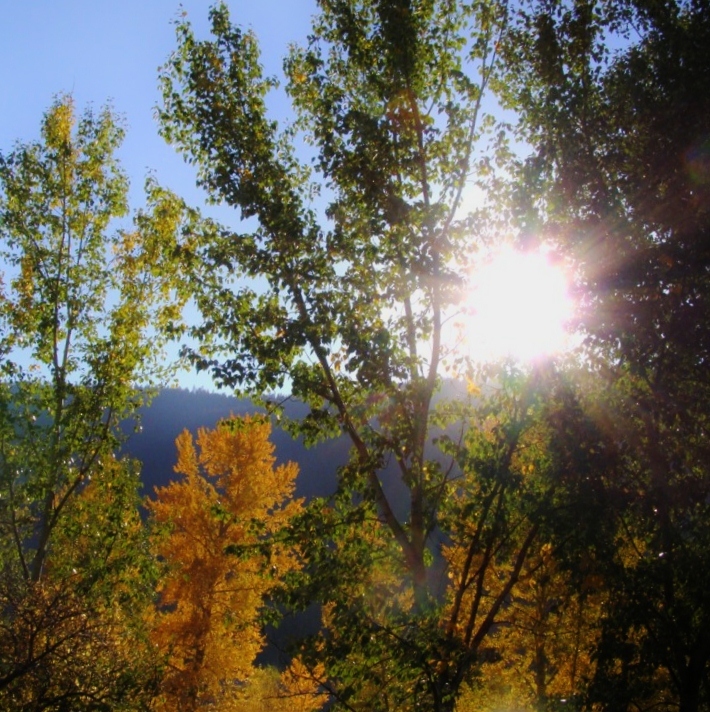 Thibeau’s Crossing ~ Betrayal changes everything in a peaceful valley. Charity ~ A sincere Baptist Church minister gives in to passion with far-reaching consequences. Men’s Wear (after a fashion) ~ The venerable owner of the town’s “upper crust” men’s wear store is challenged by changed times, and undergoes an epiphany. Great ending note to this collection – left me smiling. Nice to quit on a high point; some of these stories (though not all) were dark. Petersen has also written a mystery novel, Outside the Line (2009), and another collection of short stories, All Those Drawn to Me (2010). He is currently working on another book, a novel. I will be watching for it. Keep an eye out for this author. This first collection is excellent. chained to the violet ground. his shoulder from the fly. is the first bleat of snow. the splintered bones of grass. and snaps upon the air. 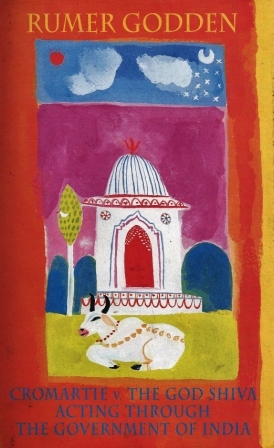 C romartie v. The God Shiva Acting Through the Government of India by Rumer Godden ~ 1997. This edition: Macmillan, 2007. First edition. Hardcover. ISBN: 0-333-71548-9. 170 pages. My rating: 5/10. Workmanlike, but lacking any sort of the old Rumer Godden magic. If it were by any other author I would have set it aside unfinished, but as the celebrated writer’s last published work, I felt the need to see it through to the end. Not recommended, except to those wishing to round out their Godden collection. Based on a real incident that occurred a decade ago, this assured novel by 89-year-old Godden (Black Narcissus, etc.) concerns a sensational case brought by the Hindu god Shiva, “acting through the government of India,” against a wealthy Canadian, Sydney Carstairs Cromartie, who buys a small, 11th-century bronze statue of Shiva in Toronto. Cromartie takes the figurine to a highly reputable London art dealer, where a staff member informs the Indian government that the priceless artifact has likely been stolen. The partners in a prestigious set of chambers in London’s Inns of Court overcome their fear of appearing ridiculous and assign the case to young Michael Dean, who was born and raised in India. Dean returns to his homeland to investigate and stays at Patna Hall, a quaint beachfront hotel in South India, seen before in Godden’s Coromandel Sea Change. Although Dean soon falls for a visiting archeologist, love is not allowed to get in the way of the pursuit of justice; the denouement, however, brings one of the lovers a broken heart. Liberally dabbed with local color, the book is fast-paced–so much so that its concise prose sometimes seems hasty, its simple characterizations verging on the glib. Yet Godden’s fans will probably welcome yet another of this veteran novelist’s tales of India. I am definitely a Godden fan, but I like to think that this designation does not blind me to the fact that her output can be, on occasion, charitably described as uneven. When she’s good, she’s very, very good,but when she’s bad … well, you know the rest of that tagline. This book, her last adult novel, and indeed her last published work of any sort, was written at the very end of her long career. Though it is more than competently written, it feels sadly stiff and flat. I did not care for a single one of the characters; they moved behind a wall of smoked glass, with occasional glints of sparkle and colour, but nothing more. The ending was dreadfully contrived, like something out of one of Agatha Christie’s lesser efforts. I can’t help but feel the author shipped this one off to the publisher with a sigh of relief before turning to the fireside and tea-tray, much deserved after so many industrious years. 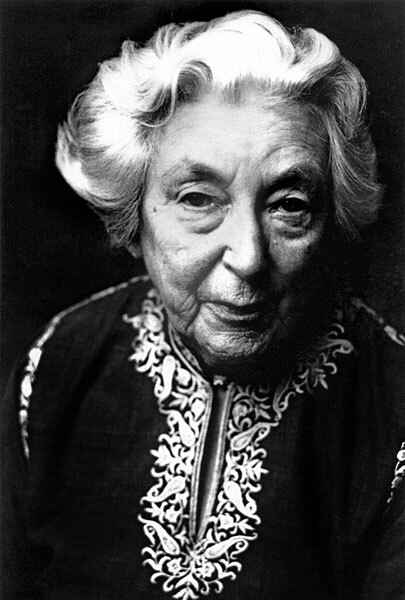 Rumer Godden died a year after the publication of Cromartie v. The God Shiva, at the venerable age of ninety. I will be reading Coromandel Sea Change, in order to compare the two. Godden refers to that work as the “Siamese twin” of Cromartie, sharing the setting and some of the characters, but diverging in plot. I have heard that Coromandel is the better book. I hope that this is true. I readily forgive Godden and allow her the odd miss, but I’m not going to hide my disappointment about this one.